Every business owner knows that the best solutions are the ones that save time and help maximize profits. 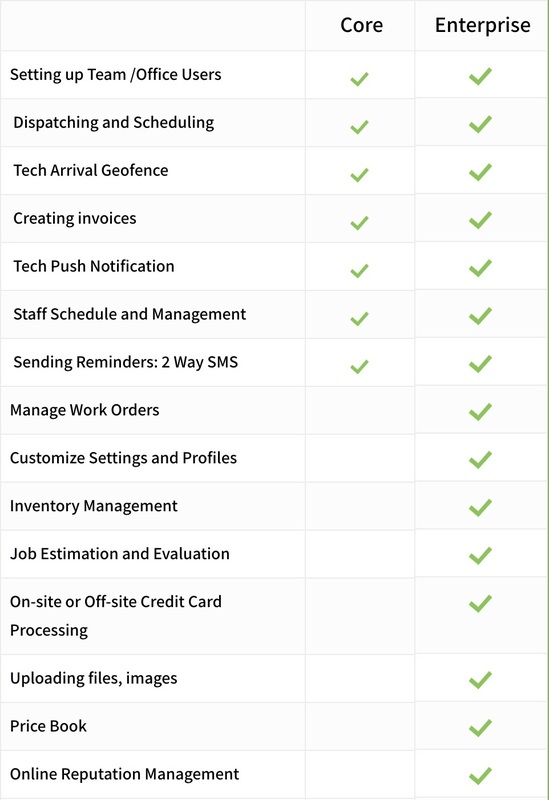 FieldSurf is a cloud-based field service management software system that helps you to streamline your scheduling and dispatching, manages inventory control, enables you to invoice your customers electronically, and enables you to determine the exact location of your technicians in the field using GPS. FieldSurf is Mobile, Cloud-based, Completely Responsive, and is Accessible from any desktop browser or smartphone. Automate & control your Scheduling and Dispatch functions. Dramatically improve communication between your administrative staff, your field technicians, and your customers. Get paid faster. Speed up your cash flow with instant electronic billing. Manage your inventory of equipment and parts. Know at all times exactly where your field techs are located using GPS. Generate customizable Analytics reports and graphic charts to see in real time exactly what’s going on in every department of your business. FieldSurf puts everything on a single desktop dashboard or on a mobile device in the palm of your hand. It is easy to learn and easy to use. Go mobile, go paperless, go “green” with FieldSurf. You don’t need to know computer programming to use FieldSurf: if you use a computer, you can start using FieldSurf today. FieldSurf integrates your entire service business on to a single dashboard on your computer. And FieldSurf is 100% mobile responsive: management and field service technicians can access FieldSurf from any smartphone. Your entire service business can now be accessed from anywhere. Spend more time making money, less time hassling about lost technicians or unpaid invoices. Submit invoices faster, get paid quicker with FieldSurf's electronic invoicing feature. Setup and installation is easy. Simply register with FieldSurf, download the app at Google Play or iTunes, install it on your computer, and you're up and running. Paperless is in. Green is in. Mobile is in. FieldSurf is all of these and much much more. Our customer service team has a five-star rating from our customers, and we provide great technical support. Web-based, 100% mobile. Drag-and-drop features make working on FieldSurf a cinch.